You're probably accustomed to the mushroom selection in the grocery store and you may even throw a few in as a vegetative addition to your stir fry. Whether shitake or portobello, you can stuff them or fry them or top your t-bone with them. If you were a Brownie in Girl Guides you've danced around the toadstool at your meetings and you've seen fungi on trees while you hike and may even have a few growing in your yard. 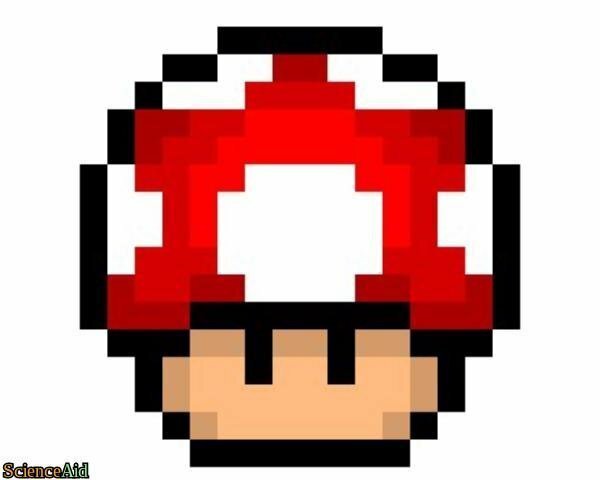 You've certainly seen them around Smurf Village, little blue Smurfs running in and out of their iconic mushroom houses, you've used Super Mushrooms to make Mario bigger and 1-up mushrooms to gain a life and if you're into Dungeon and Dragons, you're familiar with Myconids and the violet fungus. Mushrooms are a fairly common culinary addition, hold iconic prominent places in popular culture and belong to the larger genus of fungi, eukaryotic or multinucleate organisms that include mushrooms, toadstools, yeast, molds, mildews and many more. There are currently over 100,000 species of fungi, and these little aerobic organisms are able to grow in low moisture low pH conditions (unlike bacteria), do not have have leaves, roots or contain chlorophyll and (slightly unnerving) acquire nutrients from dead organic matter. This last distinction is what makes fungi so noteworthy and significant to our society, advancing science, biology and medicine. These fungi are soil-dwelling and build interdependent relationships with plants. Unless you farm or are into bugs you might not have much experience with this type of fungi as it is generally found in agriculture or entomology. But there is one zygomycota that is quite common. If you have ever opened a bag of bread, pulled out a piece, your mouth salivating as you envision the perfect peanut butter and jam sandwich ONLY to discover blotches of black greenish mold? 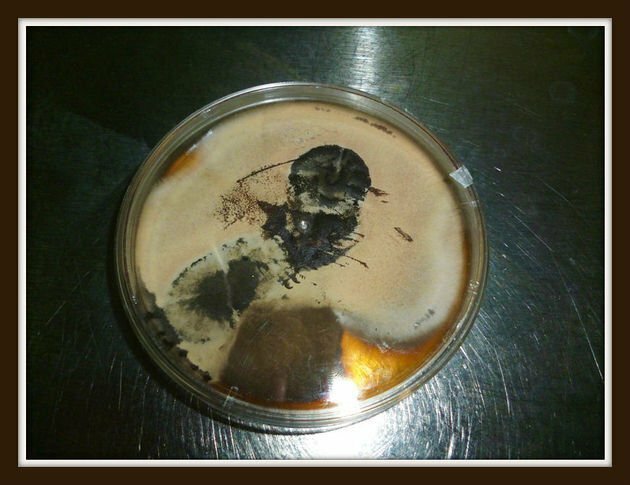 This is a strain of zygomycota, Rhizopus stolonifer or black bread mold. Rhizopus is also responsible for soft rot in sweet potatoes. Other examples include fungi from the genus Glomus, responsible for diseases in plants including tobacco and strawberries. Zygomycota do sexually procreate, forming zygospores from the fusion of neighboring gametangi . 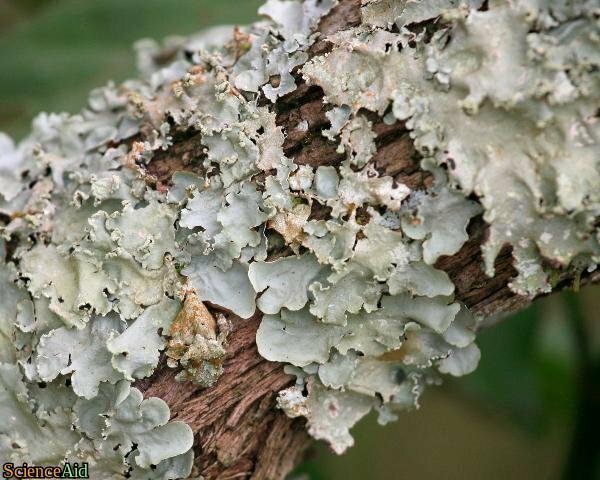 One of the largest classifications of fungi, there are over 50,000 species about 25,000 that only occur in lichens, ascomycota account for about 75% of all fungi . If you've ever seen the light green or grey splotchy mold on tree trunks, this is a type of ascomycota. It can also cause Dutch elm disease, apple scab and ergot, a fungus that grows on rye. Edible ascomycota include truffles and yeast. Ascomycota engage in intricate sexual and asexual reproduction. This is the fungi most people are familiar with including gill fungi (mushrooms), the large flower like fungi that grow on trees (pore fungi) and other edible fungi including puffballs. In basidiomycetes, two hyphae fuse to form a dikaryotic mycelium (a mycelium in which both nuclei remain distinct) . The mycelia separate into reproductive formations (basidia), the nuclei fuse and undergo meiosis, creating spores with one nucleus each. These spores germinate generating hyphae the main component of growth and reproduction. This diverse group of fungi, are the outcasts, that because of their cellular makeup or reproductive methods generally do not fit into other categories. What they do have in common is an absence of sexual features. 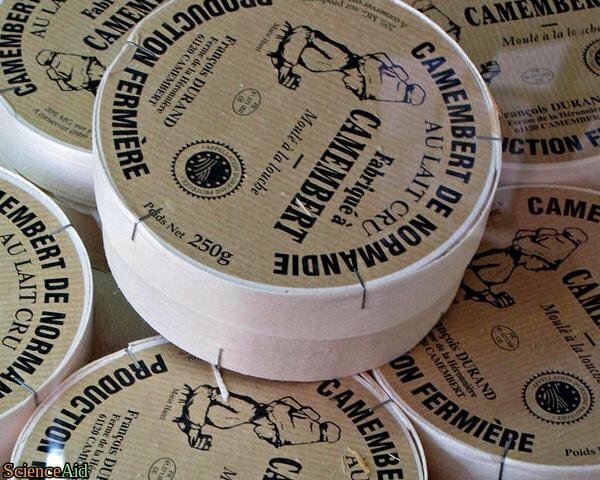 Examples include diseases like athlete's foot and ringworm as well as fungi that assist in the creation of some cheese (Camembert). The roles of fungi are broad and include many diverse functions. Because fungi feed on dead organic matter, they are obvious excellent players in natural organic decomposition across ecosystems. 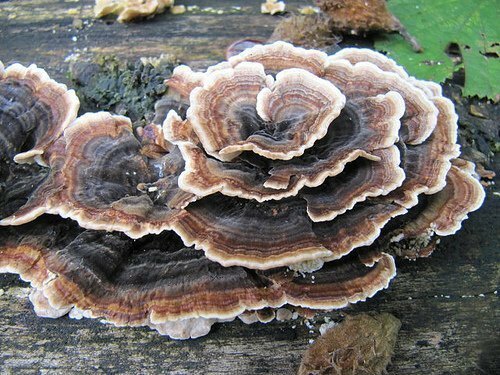 Given that fungi are able to live in dark, moist environments, they are often the largest players in the biomass of many diverse ecosystems. Fungi digest food externally, so the organic materials they are able to decompose metabolize into nutrients such as nitrates, sugars and phosphates. These nutrients are vital to plants and other foliage and without fungi these nutrients would be sparse. Fungi is able to transfer these valuable nutrients into the ground providing energy and nutrients to plant roots. As an example, nitrogen is vital to plants as it is a part of the chlorophyll molecule as well as a major part of amino acids that help build proteins needed for plants to grow. Through metabolized proteins, fungi are able to provide nitrate to plants and foliage. This is especially important in aquatic environments, where fungi are able to break down leaves and wood in the water. Fungi are able to break down even the toughest organic materials including cellulose and lignin, two materials invertebrates are unable to decompound. Without fungi, very little debris in forests and other ecosystems would never decompose. Fungi are not just a food source for our stir fries, but are significant food sources to organisms big and small, with many animals relying heavily on fungi as their main source of food. The caribou relies heavily on lichen, a fungus that has a symbiotic relationship with algae or cyanobacterium in the winter when there is very little other greens available. The long nosed potoroo, an Australian marsupial that falls somewhere between a kangaroo and a rat depends on fungi exclusively as it's food source, while insects and invertebrates also depend heavily on fungus. Fungi is also a coveted food source for humans. 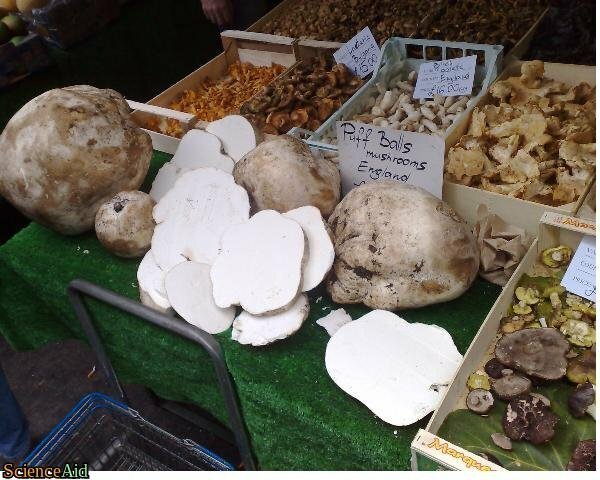 Many edible varieties are included in food around the world with diverse and unusual varieties of mushrooms are added to culinary creations for distinction and variety. Enoki, oyster, porcini, maitake, chanterelles are among some of the more diverse fungal offerings, while the matsutake mushroom in Japan is the world's most expensive edible mushroom retailing at $1,000USD per pound. Probably the most famous application of fungi is the revolutionary medical discovery of penicillin. Penicillin was discovered in 1929 by a Scottish scientist and botanist Sir Alexander Fleming when he discovered that black bread mould was able to release antimicrobial properties. You can almost see a lab technician eating a sandwich over petri trays contain staphylococcus, and days later the small spots in the petri dish where the bread crumbs would have been afflicted with mould clean and clear. Penicillin is derived from a Penicillium, a prevalent fungus that since it's application in medicine has changed the way clinicians treat disease in both human and animal populations. 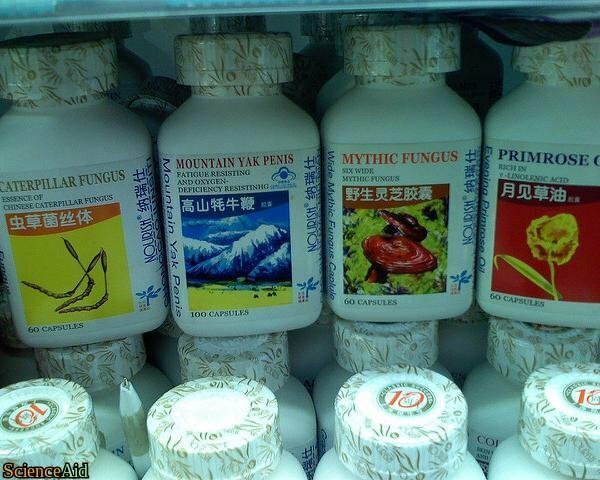 Since the 1930's, the modern world have utilized fungi across a wide range of antibiotics. 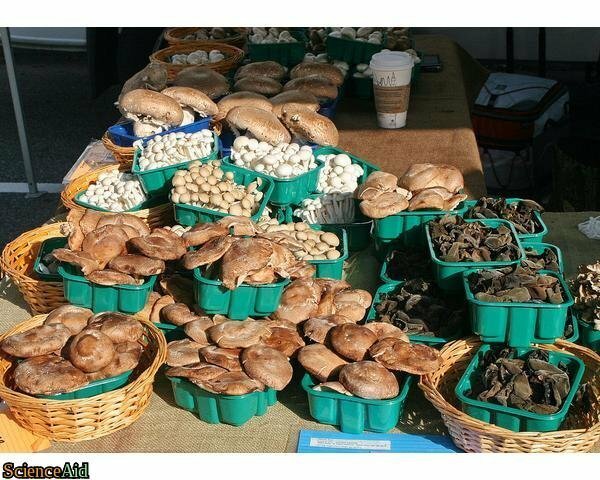 Mushrooms are also important ingredients in Traditional Chinese Medicine (TCM) and myriad therapeutic activities have been attributed to them, including anti-inflammatory, anti-viral, and even anti-tumor effects. Valuable drugs isolated from fungi include the immunosuppressant drug cyclosporine (which reduces the risk of rejection after an organ transplant), the precursors of steroid hormones, and ergot alkaloids used to stop bleeding. Psilocybin is a compound found in fungi such as Psilocybe semilanceata and Gymnopilus junonius, which have been used for their hallucinogenic properties by various cultures for thousands of years. Fungus have also been used as natural pest control for crops globally including potato beetles, spittlebugs and rust mites. 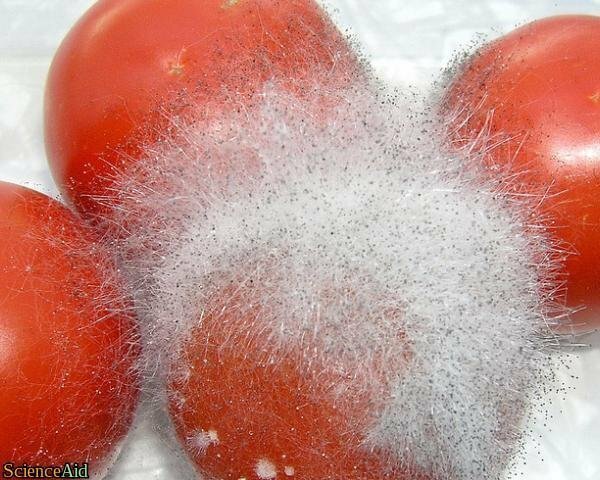 Fungi such as the Chinese caterpillar fungus, which parasitize insects, can be extremely useful for controlling insect pests of crops. The spores of the fungi are sprayed on the crop pests. Fungi have been used to control Colorado potato beetles, which can devastate potato crops. Spittlebugs, leaf hoppers and citrus rust mites are some of the other insect pests which have been controlled using fungi. This method is generally cheaper and less damaging to the environment than using chemical pesticides. 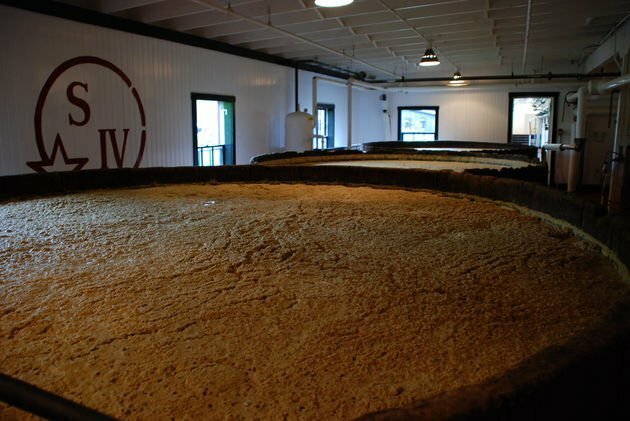 Industry has made use of fungi to offer sustainable and biodegradable structural merchandise including construction materials, packing materials, or even automobile bumpers. Many enzymes produced by fungi are utilized in the paper pulp enterprise, for bioremediation. Fungi is also used in fashion: fungal enzymes are used to melt and fade denim jeans. Scientifically, the mold Neurospora crassa and the yeast Saccharomyces cerevisiae (brewer's yeast) are model organisms used all over the world, in 1996, Saccharomyces cerevisiae became the first eukaryote to have its genome sequenced. Wheat rust has recently been termed by scientists as the polio of agriculture, wheat rust was essentially eradicated with the genetically modified seeds. However global warming and rising temperatures have have been blamed for the recent outbreaks in Germany, Uganda and Ethiopia. Experts continue to work on modifications of the wheat seeds to once again eradicate the fungus. There is no word scarier to the backyard gardener or larger farmers than blight. Potato blight was a contributing cause of the Great Famine in Ireland during the mid-1800s. 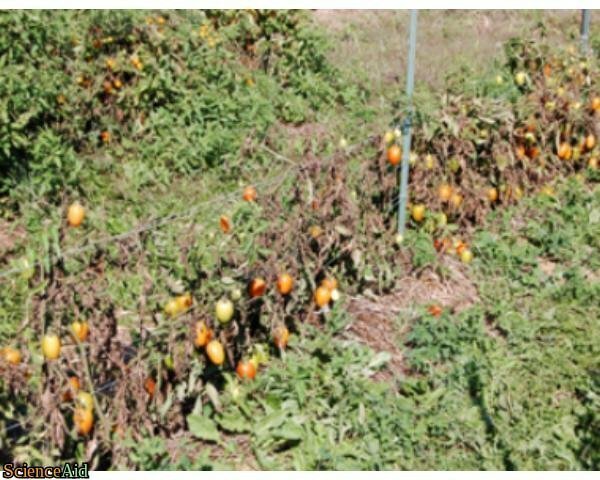 Potatoes and tomatoes are also particularly susceptible to blight. 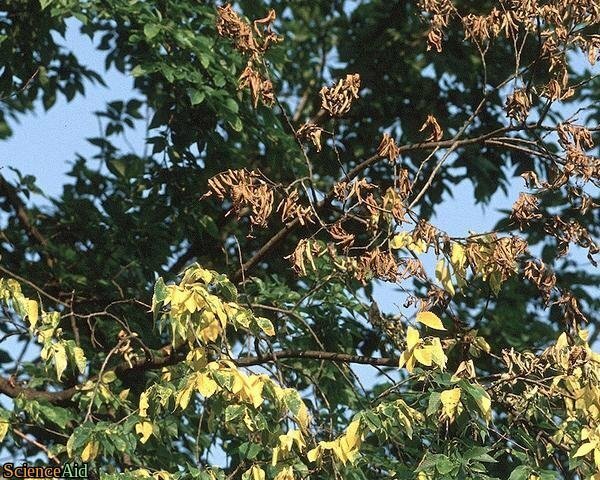 Blight is capable of quickly taking out entire crops leaving only yellow wilted leaves behind. Magnaporthe grisea aka rice blast has been placed as the #1 fungal destructive parasite. Rice Blast is capable of quickly and efficiently destroying entire crops. The crops it destroys are incredibly significant to the global food supply including rice, wheat, and barley. Rice Blast is responsible for millions of loss in crops and food around the world each year. MLA (Modern Language Association) "The Importance of Fungi." 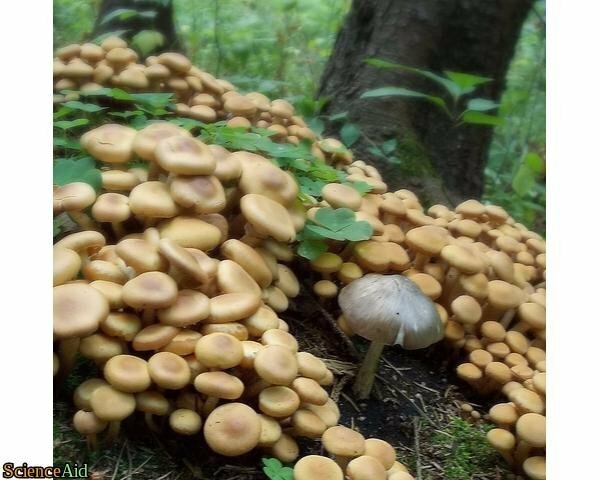 ScienceAid, scienceaid.net/the_Importance_of_Fungi Accessed 23 Apr 2019. Chicago / Turabian ScienceAid.net. "The Importance of Fungi." 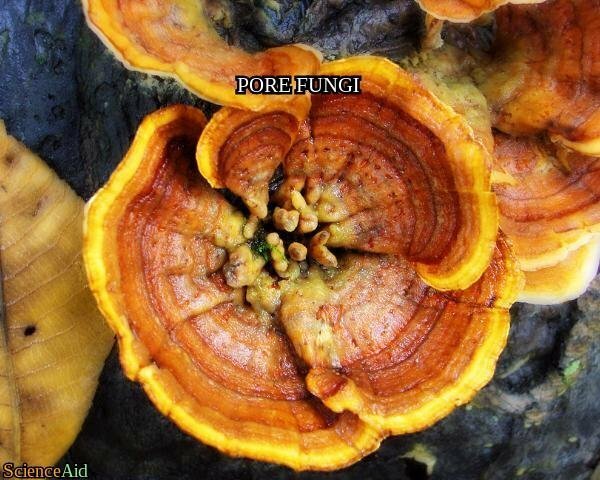 Accessed Apr 23, 2019. https://scienceaid.net/the_Importance_of_Fungi. Thanks to all authors for creating a page that has been read 1,520 times.